A lot of things has been changed in our lives in the last decade with the golden touch of technology in all the spheres of life. From ordering a mouthwatering dish to book a cab for our favorite destination, we all should be thankful to technology for making our life simpler. Communication is by far the first thing that technology evolved in numerous ways. When a lot of improvements in communication is observed by all of us, cross-platform messaging apps and services have made communication easier and more affordable. 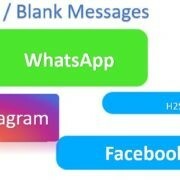 And when it comes to cross-platform messaging, WhatsApp is something we can hardly forget. WhatsApp today is synonymous to normal text messaging or SMS, and we can hardly keep away from using it, as it helps us sending small tidbits of information in the simplest way. It is also achieving new heights every day with more features getting added to it. But just like everything has some negative aspects, WhatsApp too. It is used by some people for sending things or do numerous activities, which is not endorsed by the company. As per the terms and conditions of WhatsApp, which we all agree in a hurry, without reading it, WhatsApp doesn’t want the users to use the platform for sending messages that promote violence, that defames a personality, abusive, impersonate some other person, hateful in nature, harass others, threaten, etc. So from now on, better stop sending such messages on WhatsApp, else WhatsApp might terminate your account without prior notice. There are other things as well, which you should prevent doing on WhatsApp to keep your account safe and active. So let’s get started with the things you should now stop doing on WhatsApp. As I already said, you are not allowed to open an account that impersonates some other person, on WhatsApp. You yourself is an exclusive person handcrafted by God. So be original, and save your WhatsApp account by not opening a fake WhatsApp account holding the name of someone else. Hundreds of apps are available in the Google Play Store, which allows users to send WhatsApp messages to people without saving their number. This seems to be a handy tool for sending a single message for a sudden need. But WhatsApp clearly doesn’t endorse that, else such a small and handy feature could have been made available by WhatsApp without the need of any third-party app. So do not send a lot of messages to people on WhatsApp, whose names are not in your contact list. Just in case you need to send messages, better save their numbers first. Moreover, what I think is that WhatsApp will only consider it as an offense if you disturb somebody or send promotional messages. But I am not sure. So be on the safe-side by limiting your messages to people whose numbers are saved in your contact list. Yes, I know, GBWhatsApp, WhatsApp Plus, which is hopefully resting in peace in 2018 and other apps similar to WhatsApp, offer more functionalities than the WhatsApp app available on the Google Play Store, or the official one. But, using those third party WhatsApp clients for some additional lucrative features may call it a day for your WhatsApp account. Needless to say, those apps are not endorsed by WhatsApp, and they are obviously not secure. So keep your data and your WhatsApp account safe by not using those third-party WhatsApp alternatives. 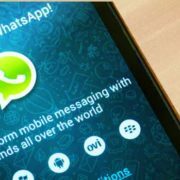 Back in 2014-15, when WhatsApp Plus was at its peak, WhatsApp authorities blocked the WhatsApp Plus users from using WhatsApp for some hours or days, even on the official WhatsApp app. If a number of users block you on WhatsApp within a small span of time, your WhatsApp account will be terminated. If you get blocked by multiple users within such a short span of time, WhatsApp will think, you have done something wrong, which has made them block you on WhatsApp. So be in a good term with your friends and family members. 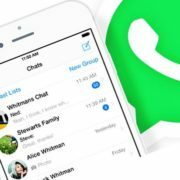 WhatsApp didn’t yet disclose any number, about the minimum number of users that should block a second user for complete termination, but don’t wait for the numbers and try to maintain good relations to avoid getting blocked. Just like you might end up with a terminated WhatsApp account if multiple users block you on WhatsApp, your account will be terminated, if multiple users report against you, as well. Though if users report against you on WhatsApp, it will find whether the reasons were legitimate or not. So if the reports against you had some reasons, and you are guilty of something on WhatsApp, chances are there, your account will be terminated by WhatsApp. Users might report against you, if you send hateful or abusive messages, promote violence or send fake messages. This eventually takes you back to the most important term to use WhatsApp. The source code of WhatsApp is not open, and it is thus, not open-source. But if you resort to reverse engineering to change or modify the code of WhatsApp (for example using of moded apps), or do something similar to that, it will be considered as an offense, which can lead to complete termination or WhatsApp ban for your account. Sending malware or viruses through WhatsApp is something, which WhatsApp doesn’t endorse at all. So keep yourself away from sending viruses or malware to your contacts through WhatsApp. Malware can be anything ranging from an infected Android app to something, which can harm a computer. WhatsApp has the ability to track such kind of messages and take appropriate steps against you in such a situation. It might not be impossible, but it is obviously not easy to hack the WhatsApp servers. But most users try doing that to spy on a certain user, or for some other unethical activities. Success in hacking the servers isn’t the factor here. But if you try hacking the WhatsApp servers, and it comes under the notice of WhatsApp, your WhatsApp account can be terminated straightway, just the way, it can be done for the other causes. Maintaining all the above things while you are using WhatsApp is not at all something, which is very difficult. Not doing all the above points will surely help you to maintain a healthy online presence without bothering or irritating others on WhatsApp. All these things will surely make WhatsApp a better place to communicate with friends and family members in the easiest possible way. If the users follow the above rules, and WhatsApp too, take appropriate steps against the users violating the rules let alone complete termination, will surely help to curb fake news on the platform. You can know more about, how to recognize fake news, in this article. 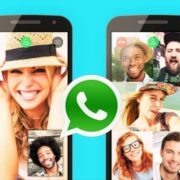 How to reactivate WhatsApp after banned? Mail the WhatsApp team at support@whatsapp.com to know why they have suspended your WhatsApp account and then ask them politely to remove the temporary suspension or blocking of your account. The reactivation of account would take around minimum 48 hours. 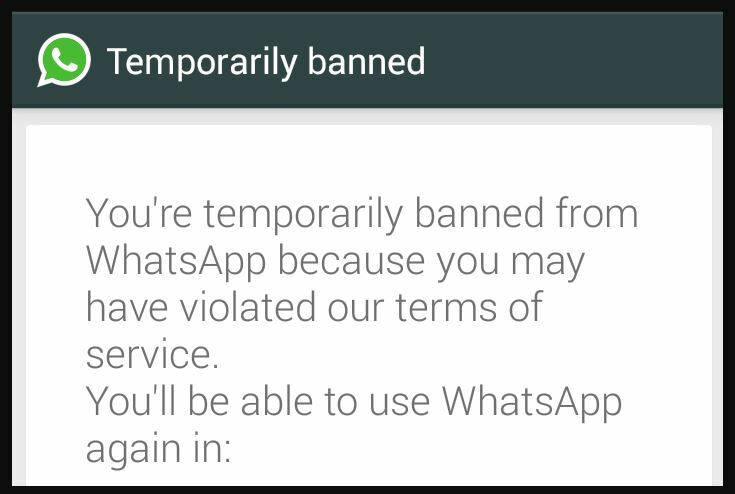 However, if you have done some serious event against the WhatsApp policies and your account has been banned permanently then you can’t reactivate it. The best thing in that situation is to create a new account of WhatsApp associated with a new phone number. Hope the information was helpful for you, and you will careful while chatting online, on WhatsApp. Do you have anything to say? Feel free to comment it down below.